Referring to it as a “mythology,” psychologist Angela Duckworth says society’s notion of genius – namely, that people are born with it – is “not only not useful,” but also not true. Genius, she says, is developed, not innate. Larry King: Is it true you want to redefine the way we think about genius? Angela Duckworth: I do, I think that we have a kind of mythology of genius in our society and that kind of romantic version goes like this. There are some people who are born naturals, whenever we see true excellence we like to tell people that they're naturals and they can do something that we'll never ever ourselves be able to do and that kind of categorical distinction I think is actually not only not useful, I don't think it's actually true. Larry King: Define genius. Can I be a genius at baseball but not anything else? What is genius? 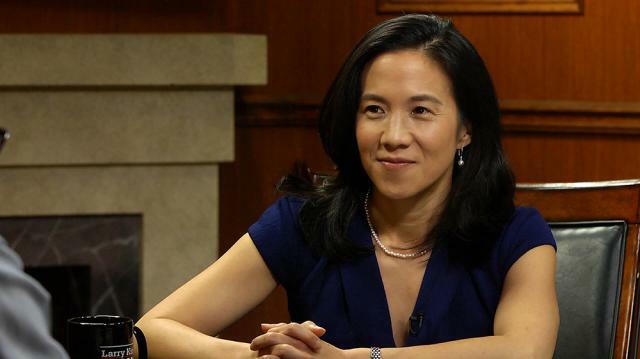 Angela Duckworth: I mean, I think that the best definition of genius is excellence and I would further say that typically that excellence is earned. You know, if somebody's really great at baseball or hosting a show or being a psychologist, it's not necessarily that they were born that way and in fact it's impossible that they were born that way, nobody is born knowing any complex human skill, they're all acquired. So genius can be defined as dazzling excellence, I don't have any problem with that, but why don't we say that genius is made not born. Larry King: Do all geniuses have grit? Angela Duckworth: I think so, I think so. Can you think of any geniuses you don't have grit? Who just were, you know, without any effort they just, you know, it came to them.